More than 800 protest racist ‘Redskins’ football team name | Fight Back! 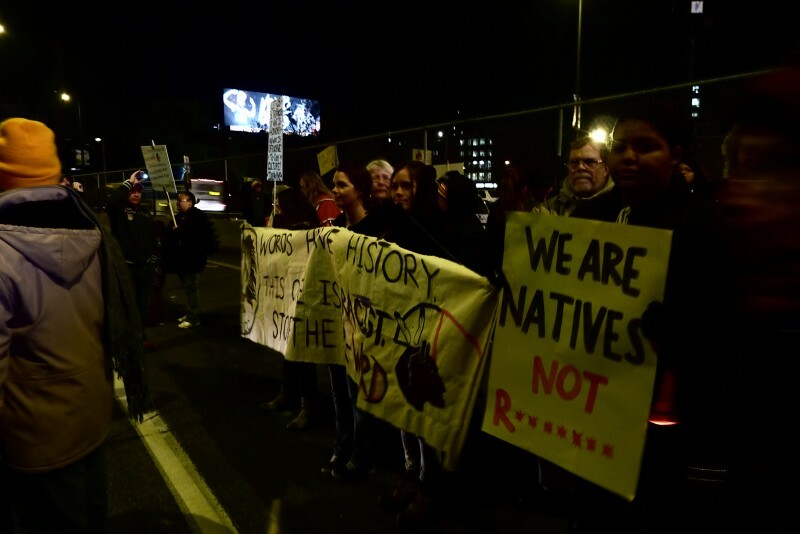 Huge protest against racist ‘Redskins’ football team name. 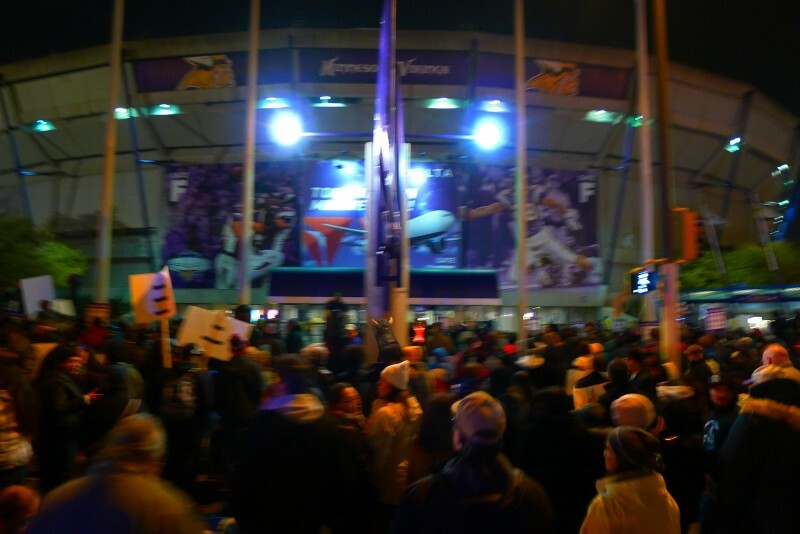 Joining people from around the country to condemn the “R-word,” protesters recalled similar demonstrations in Minneapolis - in 1991 when the Twins played the Atlanta Braves in the World Series and the 1992 Super Bowl when the Washington team played the Buffalo Bills. The rally, led by American Indian Movement (AIM) co-founder Clyde Bellecourt, also featured the voices of many youth speaking out as well as local congress member Betty McCollum, 1964 Olympic Gold Medalist Billy Mills, former Viking Pro-Bowl standout Joey Browner and former Minnesota Governor Jesse Ventura. Speaking to the crowd of hundreds weathering the cold, Bellecourt highlighted the historic work of AIM to revive Native culture and tradition in addition and their past protests of racist sports mascots. He noted the international media attention and efforts that have included condemnation of the name from city councils of Minneapolis, Saint Paul and Washington D.C. The diverse composition of the protest highlighted the widespread demand from all segments of society to challenge Washington team owner Dan Snyder’s refusal to change the team’s name. Organizations including AIM and the National Coalition on Racism in Sports and Media committed themselves to continue the fight until the demands of the masses were met and the racist name is changed.